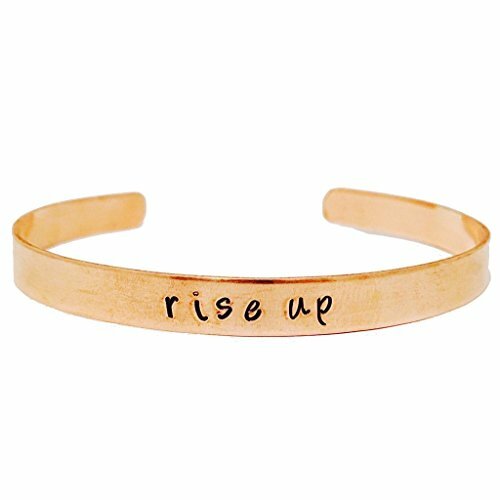 This copper cuff bracelet is hand stamped with the words "Rise Up" on it. Perfect for A-Ham fans that don't want to throw away their shot. A great gift for the musical theater lover.